Paper was probably invented in western China during the first century A.D. At first the Chinese wrote on silk, bamboo, and wood. Then, by the 4th century they were using mulberry bark, hemp, and other fibers. During the Tang dynasty paper became a large scale industry and was widely available. At this time, books were prepared in scrolls. Exactly when printing started is unclear. Historians tell us that seals were in use long before the Han dynasty. Printing was invented in China, and it started by obtaining images from carved wooden blocks. They also tell us that wooden block printed textile designs were in common use by the 6th century. By the 8th century printing was done using both metal and wooden blocks. However, for the next two centuries printing would remain crude. Movable type was invented in 1040. The standard technique in use at this time was to carve an entire page out of a single wood block. Printing improved when large scale printing projects of Buddhist and Confucius scriptures were under-taken. The large scale printing of the texts made them much cheaper, and it led to a surge in Chinese education in the 16th century. Today the Chinese government is probably the largest publisher in the world. However, in ancient times not all of the printing was done by the government. After time, as the costs became cheaper scholars began printing their own books. Wood block printing lasted until the 19th century, when it was replaced by Western printing techniques and machinery. In the beginning, problems existed because of the enormous amount of characters required to print the Chinese language. Sometime before the Tang dynasty (618 AD) Buddhist monks introduced tea to China. At the time, it was a shrub that grew wild in the Himalayan Mountains. It became so popular that by 1867, it comprised 57 percent of Chinese exports. The Chinese lost a large percentage of the world tea market when the British established tea plantations in Ceylon and India. While searching for an immortality elixir, ancient Chinese alchemists made several discoveries. The alchemists were distilling alcohol by the 2nd century, and by the 8th century they were able to separate the salts of alkaline metals. This led to the discovery of potassium nitrate or saltpeter during the Tang Dynasty. Finally, after much more experimentation the alchemists discovered that when charcoal, potassium nitrate, and sulpher are mixed the result is gunpowder. 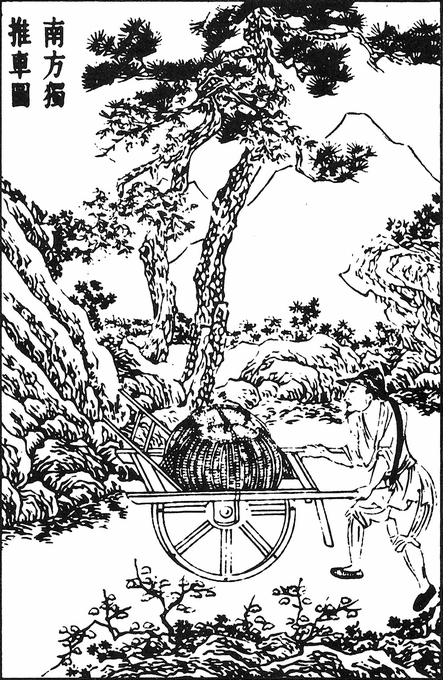 The Chinese first used gunpowder in the 10th century. They would use it for another 200 years before it finally arrived in Islam in the 13th century. Not long afterward, it would appear in Europe where it would immediately see widespread use. By the Song Dynasty new weapons were being developed. Besides a wide variety of guns the Chinese now had flame throwers and bombs. One of the most important discoveries in ancient China was the compass. In the 1st century spoons were carved out of lodestone (magnetite) and used for astrology or divination boards. Before long, the Chinese discovered its south pointing capabilities. Then, a few centuries later it was discovered that the directive qualities could produce an electrical current or magnetic charge when small pieces of iron were mixed with lodestone and floated on water. This led to more accurate compass readings. Then in the 8th century needles were developed that gave an even more accurate reading. Trip hammers were used to pulverize minerals and hull rice.